Did you know the Neighbourhood Network now has an online shop? The charity has recently collated some basic crime prevention items to sell online and from the office at The Bespoke Centre. Neighbourhood Network members are also entitled to a discount too! 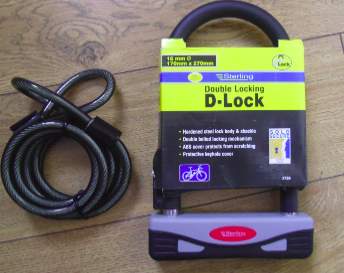 Currently there is £5.00 off the Cycle lock by entering nnmemberbike into the coupon code and £10% off all other products by using coupon code nnmember at the checkout.